We have owned Wild Thyme for eight years, she has been a delight to sail and we have aways felt safe and secure. Fully rigged for racing with full sail wardrobe and cruising sails. All lines brought astern including reefing lines. Wired for shore power. 2000 - New Seldon 170-155 Mast, and Boom. 2002 - Beta 3 cylinder 20hp engine updated stern gear & general makeover by J. Rogers. Cabin floor lowered new fridge, & stainless steel water tank. 2004 - Raymarine chart plotter, radar set on pedestal astern autohelm ST60 unit. 2010 - Running rigging & standing rigging replaced & Furlex overhauled. 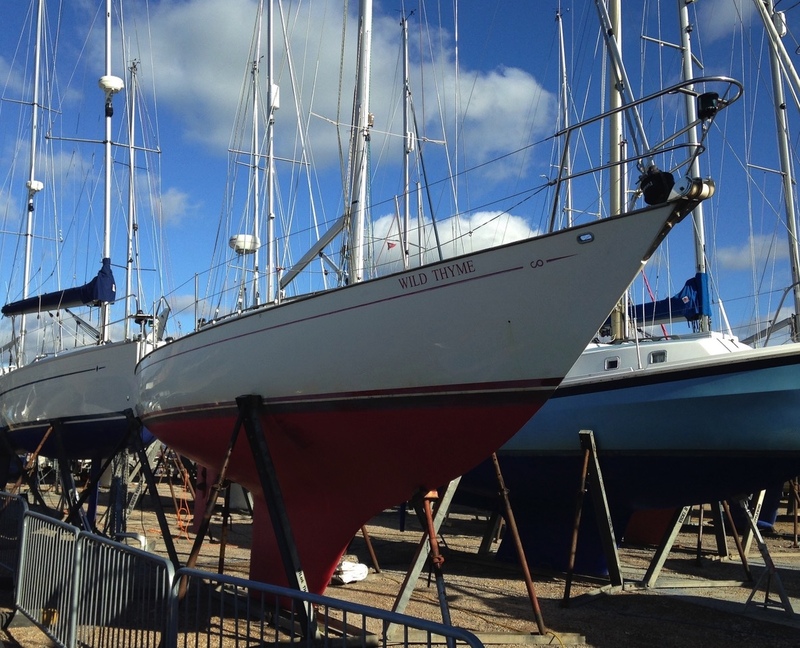 2016 - Mast overhauled, New anemometer & Sea - Me Active radar enhancer. 2017 - Stern gear overhauled with fixed three bladed cruising prop fitted. Last survey November 2010 quote "Vessel is an excellent example of her type and year and has obviously had a good deal of monies spent on her."